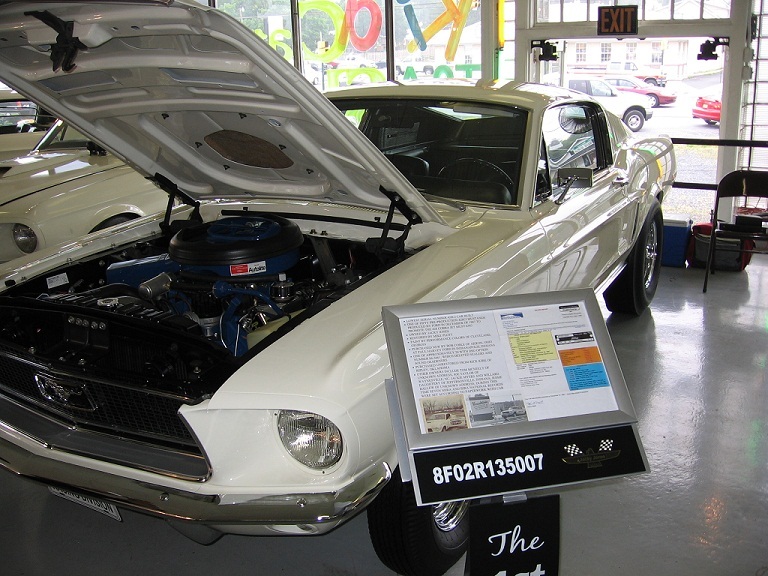 As far back as 1966, when I worked for my dad in his Ford dealership, I greatly looked forward to owning some of the high performance cars that Ford was producing. Today I am busy managing a handful of car dealerships with 3 of them Ford, but I have found the time to locate and restore one of Ford’s finest - a 135 car with VIN 007 - the first 135 to come down the assembly line. The car was originally delivered to Paul Harvey Ford in Indianapolis. In 1968 - 69, it was raced in the midwest by Bob Coble and later years featured in the Doug Thorley catalog with drivers Ireland, Harvey, and Poole. The car was still being campaigned as a Super Stocker in 1970 but was showing its years on the strip. I decided that this car with its rich racing history would make a fine restoration taking it back to its production form. I enlisted Kevin Westmoreland to perform the body and chassis work with the stipulation that only original parts would be used. This was no small feat. In the engine department, Mike Plott redid it - another tough job with the parts changing that had occurred after so many years of hard racing. All our work was recognized when Mustang Monthly featured the car in the April 2008 edition under the caption "The First Cobra Jet". My plans now are to show the car regularly, but I just might find some time to reacquaint 007 with a Georgia drag strip.